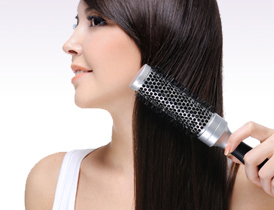 Find the right hair brush for your hair online at i-glamour.com. Beautiful hair is easy with the right hair brush. Select from paddle brushes, detangling brushes, round hair brushes, styling hair brushes, teasing brushes, hot tube brushes, blow-drying brushes and many more.